Our region has a varied landscape, featuring a diverse range of soils, vegetation communities and native animals that shape how the land can be used and managed. The quality and size of land and soil resources in our region support a profitable and diverse range of cropping enterprises including sugarcane, horticulture and grains, and an extensive grazing industry (Department of Agricultural and Fisheries, 2013a). Resilience of these rural enterprises is important, as they contribute to the security of the local and regional economy. Our region’s significant grazing and cropping industries rely heavily on soil condition as the basis for productivity. Soil is a precious and vulnerable natural resource. It can be considered non-renewable, given that it can take hundreds to thousands of years to form from weathering processes. Yet despite the time taken to form soil, it can be lost forever through erosion and toxification caused by inappropriate land management (Carey, et al., 2015). Our region’s soils reflect the diversity of the parent rock, landscapes and rainfall patterns. 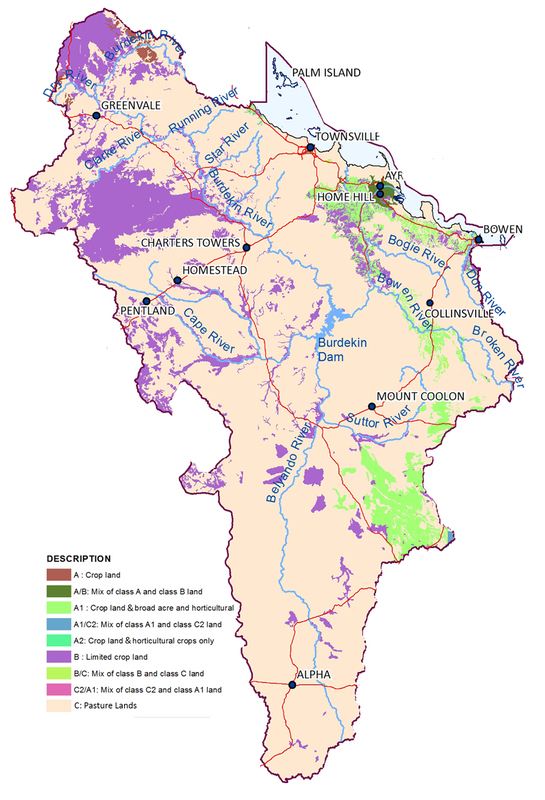 There are extensive areas of moderately productive but fairly erodible red duplex soils, widespread high productive black and red clays derived from basalt, and large areas of poor to moderately fertile sands and earths. Cracking clays are found in the Belyando-Suttor area. Large areas also have highly-erodible dispersive soils. 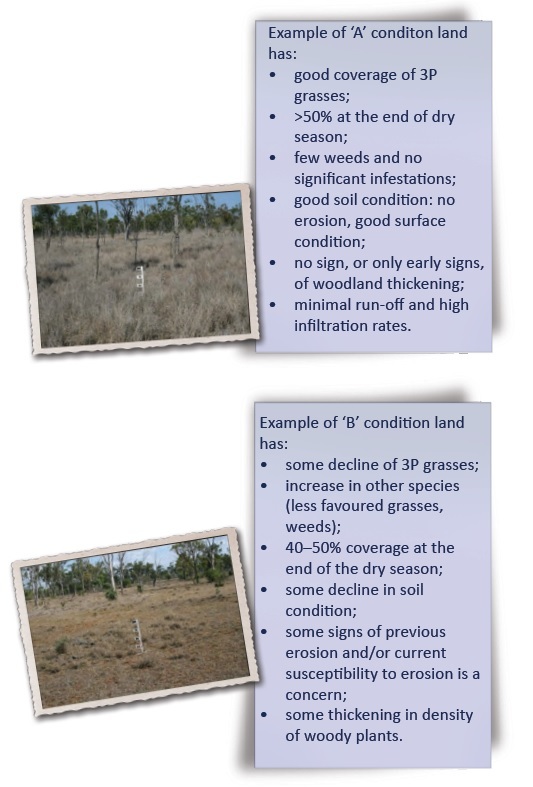 The Queensland Agricultural Land Audit identified that land degradation in our region has reduced the carrying capacity of grazing lands and decreased fertility of soils in cropping lands (Department of Agricultural and Fisheries, 2013b). 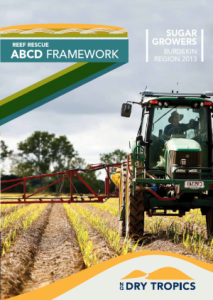 ABCD frameworks for land condition and management. In the past decade much effort has gone towards understanding and developing methodologies to map and identify land capability, condition and management for our region. “ABCD” frameworks are used to describe land condition, its level of capability for a particular land use, and how it is being managed, with ‘A’ denoting the highest score and ‘D’ the lowest. These terms will be used throughout the NRM Plan. 1. Land Condition ABCD Framework is a measure of health for grazing land that considers its capacity to produce useful forage, ability to infiltrate water, and risk level for soil erosion. The framework assists landholders to understand and manage the physical, biological and chemical elements of soil. The four categories used to identify land condition are A – Good, B – Fair, C – Poor and D – Very Poor (Karfs, et al., 2009). 2. 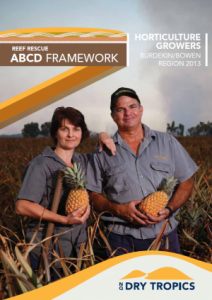 The land management practice ABCD framework for grazing and cropping lands was developed as part of the Australian Government Paddock to Reef initiative to improve water quality entering the Great Barrier Reef (Queensland Department of Agriculture, Fisheries and Forestry, 2013). It aims to improve land and water management practices for better water quality by improving soil health, nutrient management, pesticide management, water and irrigation management, and planning and recording. The ABCD category in this instance is the level of attention and sophistication of farm management practices being implemented. A – Cutting Edge, B – Best Practice Management, C – Code of Practice and D – Old Practice.